A couple of months ago I wrote about Marie Reynolds, holistic facial and skin practitioner extraordinaire, bringing out her first skin products. The Epidermal Blanket, two skin products designed to nourish and hydrate and with either a copper or a quartz wand no less, to aid the process, is both as wonderful and unusual as one would expect from someone like Marie. And now she’s done it again. And wow does it work. You add a little water to a teaspoon of the powder and apply to the face for about 15 minutes. It hardens like many masks but then by adding a little water to soften it, you massage into the skin before removing. The result is skin as smooth as a baby’s bottom. Now at this stage of my life I’m really not into any kind of mask that’s drying. I was a little disconcerted when it hardened into a sludge like mud pack. But drying it ain’t! Your skin feels absolutely gorgeous afterwards and much, much smoother. So it’s great before a night out or a big event. The skin has it’s own unique community of microbes and needs certain resources to survive. They can then adapt and deal with all different kinds of skin conditions. When they don’t thrive, inflammation can cause all kinds of problems from acne to rosacea. 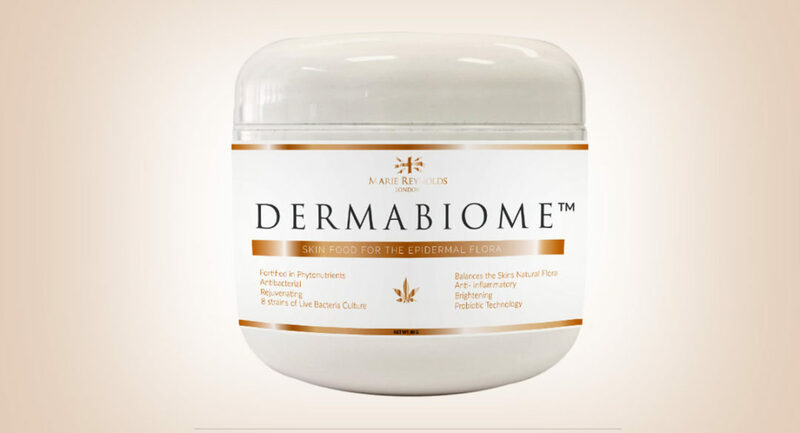 Dermabiome balances the skins’ flora and is antibacterial, anti-inflammatory, rejuvenating and brightening. It’s filled with phytonutrients which are the important chemicals produced from plants that are also vital for us to eat to ensure good health. It also contains a powerful mixture of probiotics to target imbalances in the skin. In fact so powerful is this powder that Marie has shown me photos of how it has healed some quite bad injuries people have had in a matter of days. From nasty cuts to scars and abrasions. The results really are impressive. 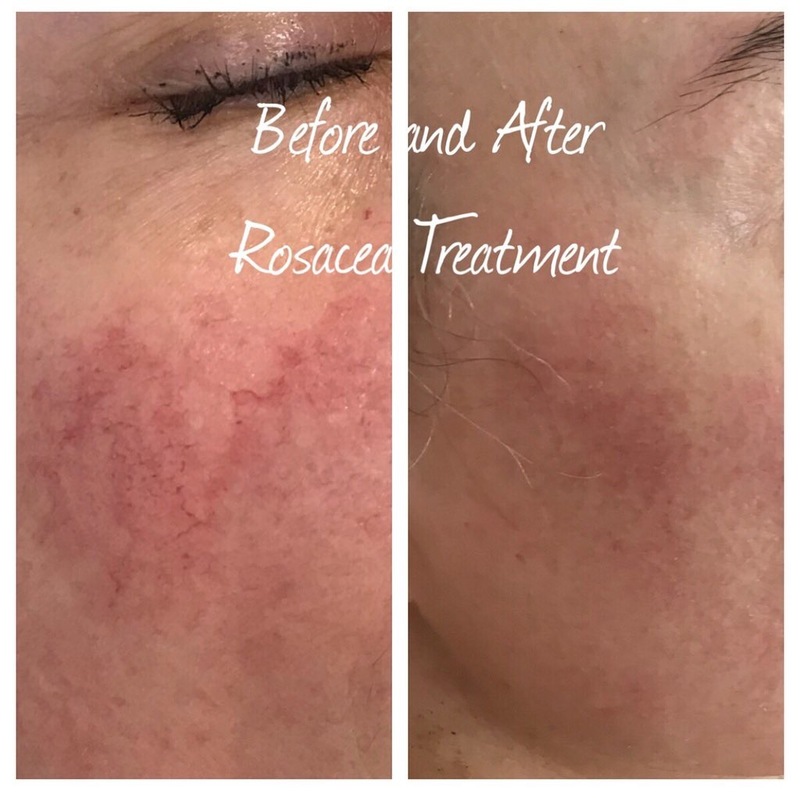 She has also seen amazing results with various skin conditions. So just imagine what this is doing for your skin? The idea is to use twice a week. I’ve only managed once a week for the past month but already I can see visible results. The powder contains lots of incredible ingredients. Hemp powder, green tea extract, fenugreek, spirulina and no less than 8 strains of probiotic to name just a few. Let’s just hope that Marie keeps on bringing these products out.